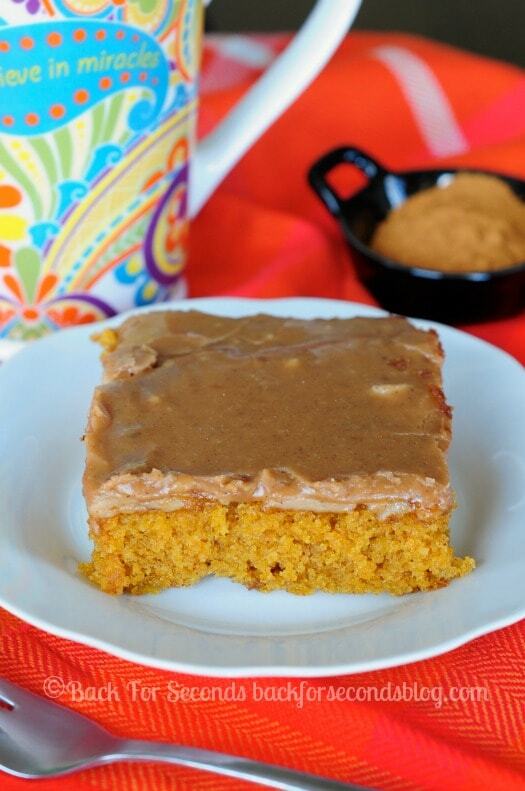 This Pumpkin Spice Sheet Cake with brown butter cinnamon icing is out of this word amazing! It is moist and full of festive fall flavors! If you need a dessert for any event, holiday, or any occasion whatsoever this fall – make this cake! It is so moist and is just bursting with fall flavors. Pumpkin, cinnamon, nutmeg, ahhhh, so warm and comforting. 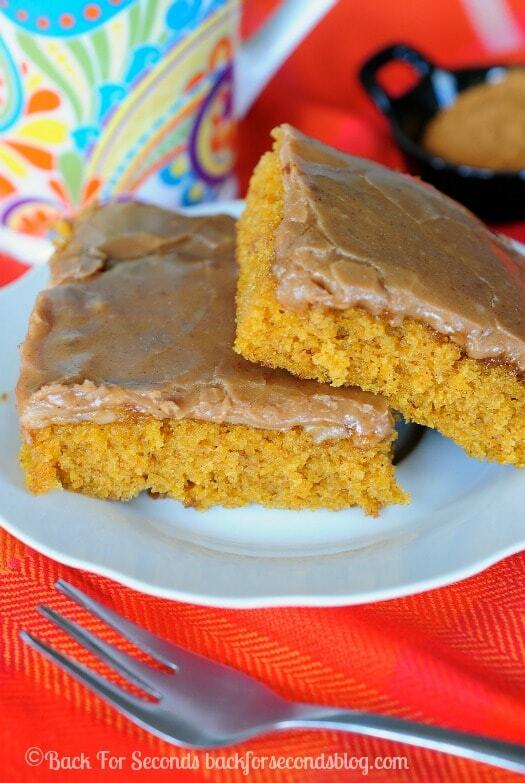 This is Texas sheet cake: pumpkin spice style. And it is GOOD! So, we’ve established that the cake is amazing. Let’s talk icing for a minute. This icing starts with brown butter….that’s an automatic win. Then we add in a nice dose of cinnamon and vanilla and those flavors mingle with the pumpkin in the cake and it just couldn’t be any better. 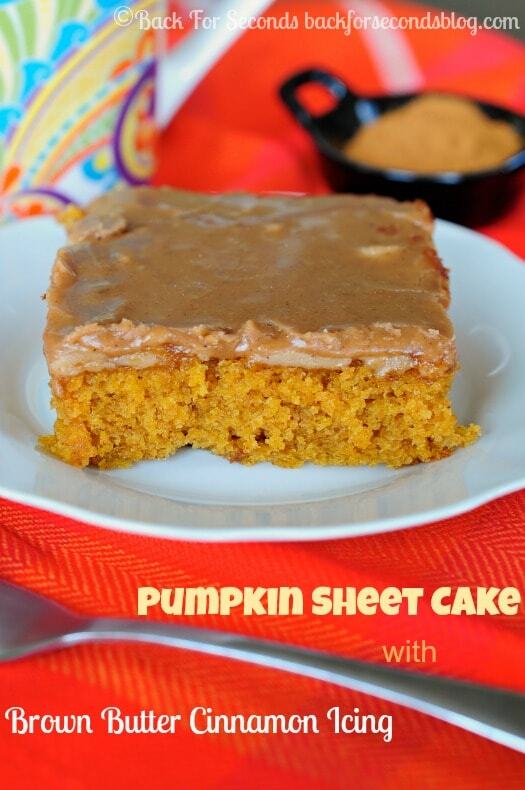 This Pumpkin Spice Sheet Cake may not be the most beautiful cake, but it tastes heavenly and it will feed a crowd. Enjoy! I used a 12×17″ pan. You can convert on google. I made this this week and loved how it made my house smell like fall! Easy ingredients and the frosting is stinking amazing! I want to put it on everything! I did make it in a 9×13 stoneware and just cooked if for 35 mins. Very moist and like I said the frosting is great! Has anyone tried substituting oil with butter? What size can of pumpkin?? ?